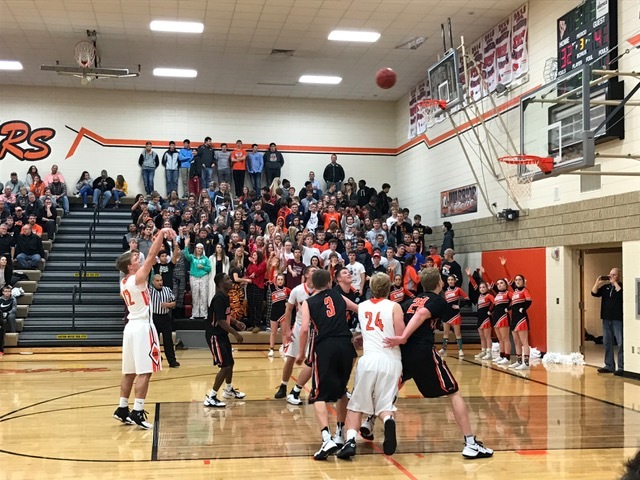 Close doesn’t even begin to describe the game between SB-L and Sioux City East last Friday night in Sergeant Bluff. 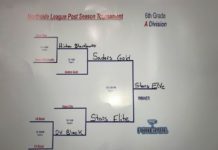 Both teams left their blood, sweat, and tears on the court. But no matter how hard the fight, one team had to come up just short. This time it was the Warriors, who fell to East by just two points in the last 18 seconds of the game. The loss wasn’t for lack of hustle, heart, or hard work. 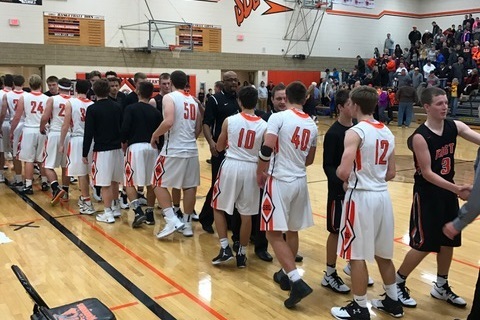 The SB-L boys showed tremendous determination as they battled their way back from a double-digit point-deficit in the second quarter to tie it up in the final minute. The Raiders got the opening tip, but SB-L grabbed a steal before East could score and got on the board first. 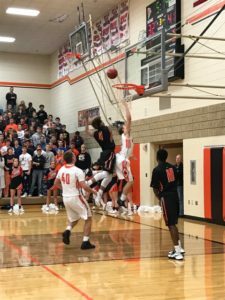 EHS bounced back and quickly pulled ahead by a couple baskets until Chris Kroll broke their momentum with the first three-pointer of the night. Kroll lead the Warriors with 18 points during the night. SB-L tied it up at the start of the second quarter. However, East responded with a few threes to put them up by 7 going into the locker room. The two teams mainly traded buckets throughout the third quarter until Connor Groves drained a three-pointer at the buzzer. Groves was the second-leading SB-L scorer. He had 11 points, including three three-pointers. The Warriors were down by two going into the final eight minutes. Jackson Wright put it in for two to make it 55 all with 1:15 to go. Wright led the Warriors in rebounds with 9. East maintained possession and took a timeout with 18 seconds left on the clock. The SB-L guys played outstanding defense but the Raiders were able to get off a shot that bounced in with 2 seconds left.